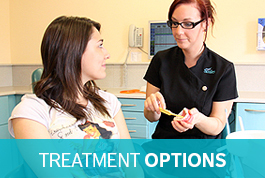 Orthodontic care for children and young people under the age of 18 is available on the NHS. Not every child will qualify for free treatment which is why it is important to visit your orthodontist who will assess the situation before recommending treatment. It is usual for your general dentist to refer you and your child to a specialist orthodontist for assessment and we aim to see new patients within a month of referral. NHS funding is targeted at those who most need orthodontic treatment on the grounds of dental health or aesthetic need. NHS treatment is not available where the IOTN score is below 4. Under 18’s who do not qualify for NHS orthodontics may qualify for discounted private orthodontic treatment. Young patients referred to us by their general dentist will have their teeth assessed for treatment eligibility using a nationally prescribed index. The Index of Orthodontic Treatment Need (IOTN) assesses the severity of a patient’s malocclusion (imperfect alignment and bite). Dental health and aesthetic appearance are scored using the IOTN. The total score determines whether the NHS is able to fund treatment. Under the Department of Health funding guidelines patients with a low index will not be eligible for NHS treatment. 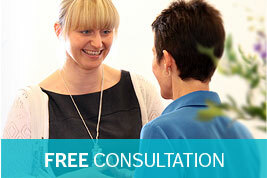 NHS treatment is carried out to the same high standard as private orthodontic treatment. Appointments are available between 9.00am and 3.30pm and occasionally between 3.30pm and 4.30pm for routine adjustment to intact fixed braces. Private orthodontic treatment is available for those patients not eligible for NHS treatment or for patients who would prefer to be seen privately. 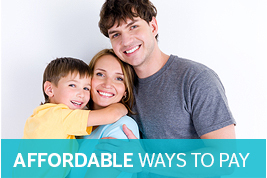 We would be very happy to discuss the options available to you. A reduced treatment rate is available to children who do not qualify for treatment on the NHS.